How do I find and connect to SportGait-enabled providers using the SportGait Mobile app? 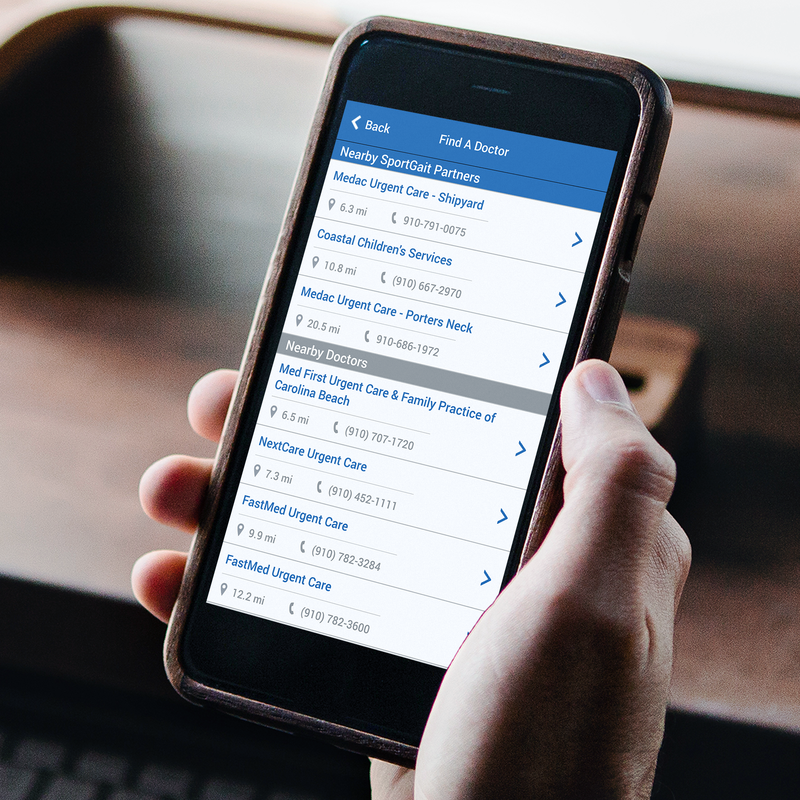 The SportGait Mobile app will help you find and connect with SportGait-enabled medical providers as well as other nearby doctors. The app will help you to find medical providers in your area. 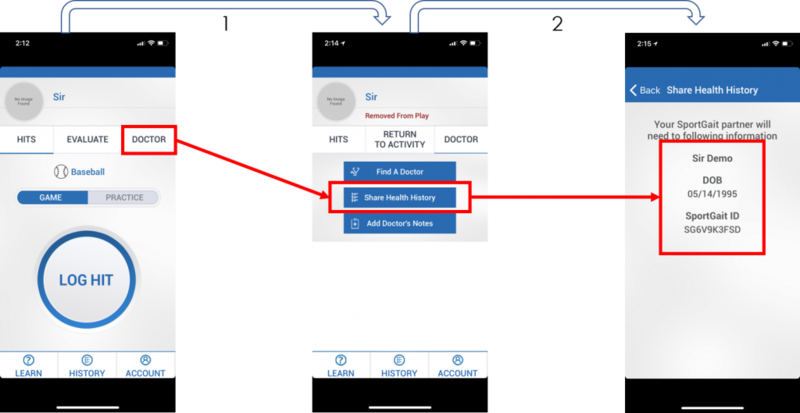 Once you find a doctor, the app will help you share health history information as well as your athlete’s SportGait ID with them. You will also be able to add doctors notes into the app for quick reference. 1. Go to “Doctor” tab and select “Find A Doctor”. 2. Choose from the list of nearest available Urgent Care and Medical Provider Locations. Options to Get Directions or Call the chosen location will be shown. 1. Go to the “Doctor” tab. 2. Select “Share Health History”. The athlete’s SportGait information, including their SportGait ID, will be listed to show to SportGait enabled medical providers. 2. Select “Add Doctor’s Notes”. Any notes from medical providers that are NOT SportGait enabled can be entered for quick reference within the application.